Happy Friday, all! While brainstorming card and video ideas, I thought of revisiting the 10-minute Card Challenge. I’ve done this challenge in the past and thought it was fun. For today’s challenge, I think I bit off more than I could chew. LOL! 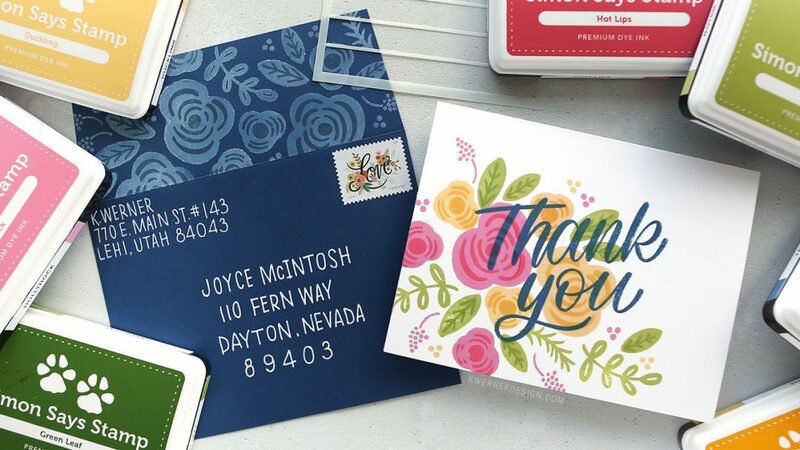 I used the special edition Thank You Card Kit to create a card and envelope. 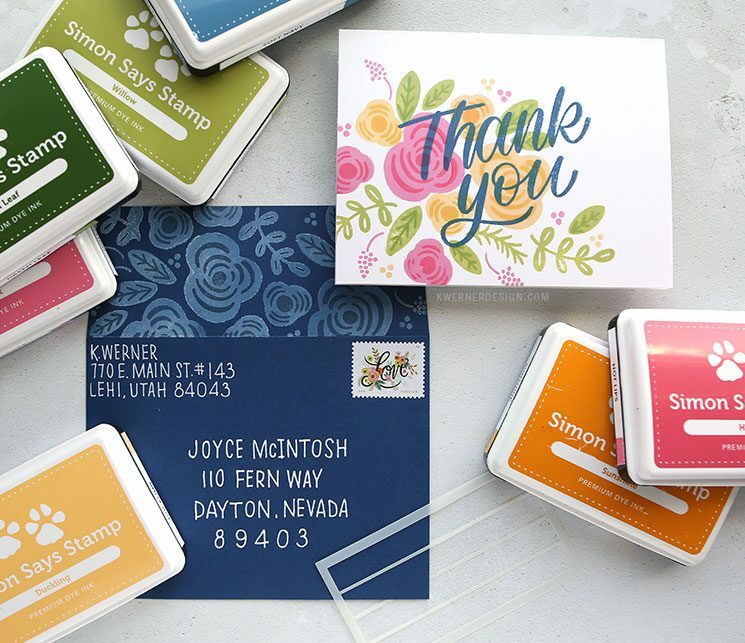 The bulk of the card design comes from using the Thank You Flowers stamp set. I used a bunch of different ink colors on the white card (see exact colors below). Then I used white pigment ink on the Soft Navy envelope. 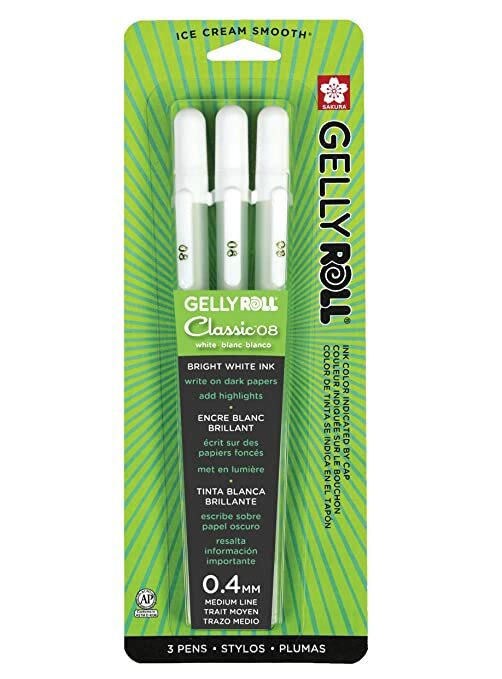 I also used the Envelope Addressing stencil to help guide me when adding Joyce’s address to the envelope with a white Gelly Roll pen. NOTE: Address used with permission. 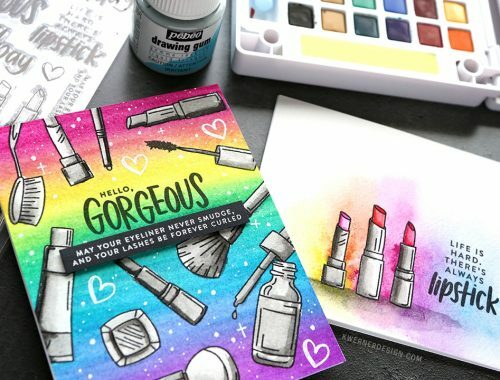 To submit your address for possible use in a future mail art video, enter this month’s giveaways. Hot vs. 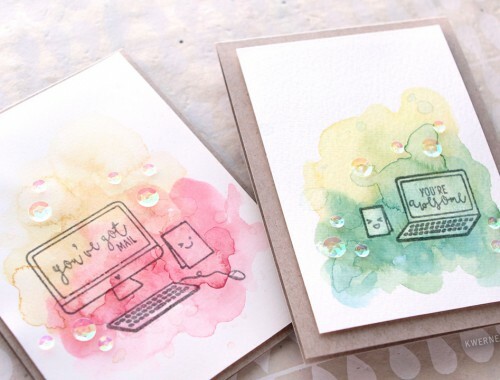 Cold Pressed Watercolor Paper – Which is better for backgrounds?